KAMPALA: Inspector General of Government Irene Mulyagonja has said they have made significant progress in the investigations into source of wealth owned by Ms Justine Bagyenda, the former Bank of Uganda director for supervision. Ms Mulyagonja insisted that there is no intention of deliberately frustrating the investigation as alleged by some quarters, adding that soon a report will be issued to that effect. She, however, refused to divulge further details, adding that such investigations are not discussed in the media. The IGG was responding to a petition by a youth advocacy group, Youth Crusaders, who claimed that the Financial Intelligence Authority (FIA) and the government Ombudsman were delaying the investigation. “We have information that Ms Bagyenda has been reinstated to BoU as an adviser to the governor, which unfair to the youth who lost their jobs in the closure of the banks. This decision is likely to jeopardize investigations since she is the principal figure in the mess,” the petition signed by the group, Ms Fatinah Nakazibwe, read in part. “When these banks were closed, over 6000 young men and women lost their jobs across the country. But the two investigations bodies seem not bothered about anything even after getting a letter from the president directing them to audit BOU,” added Mr Bashir Kazibwe, the spokesperson of the youth group. However, the IGG urged the group to be patient as they investigate the matter. 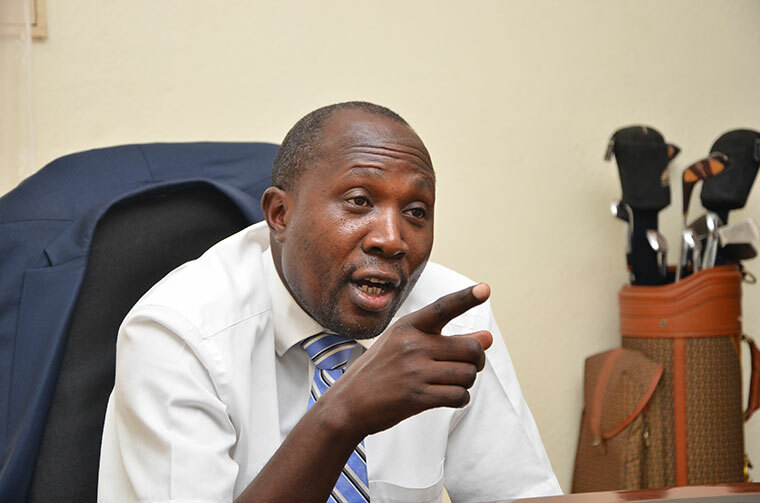 Last week, another youth advocacy group petitioned Prime Minister Ruhakana Rugunda over what it perceives as failure by FIA to investigate Bagyenda’s source of wealth. Describing itself as Youth Power Research Uganda (YoPRU) with an about 3,000 members, the group claims that since a whistleblower alerted FIA to investigate Bagyenda’s source of wealth in March, nothing has been done. FIA is the government agency mandated to monitor and investigate money laundering activities in the country. Following March reports that Bagyenda had Shs19 billion on three different accounts, which sparked a public debate on how she accumulated such amount of money within six years, a whistle blower petitioned FIA, demanding that Bagyenda be investigated. Whereas FIA executive director Sydney Asubo in March told journalists that the authority had opened inquiries into the matter, it has emerged that this has not yet happened. However, Mr Asubo has since said the investigation is underway, explaining that such investigations take time. Bagyenda has been a subject of public debate in the last two months after she was axed as head of the powerful supervision docket at the Central Bank and sent into early retirement amid leaks of her questionable bank transactions. She rejected early retirement and has been appointed advisor to the Governor. According to leaked documents, Ms Bagyenda owns account number 5106903903 in Diamond Trust Bank described as ‘low start savings account’ which as of December 01, 2017, had a total of Shs11.4 billion. Going by that figure, Ms Bagyenda is richer than her former boss Dr Emmanuel Tumusiime Mutebile, who is the highest paid salary earner in Uganda.